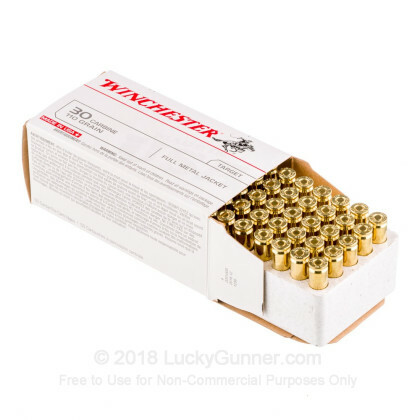 These affordable .30 Carbine loads from Winchester are a great way for shooters to give their surplus and reproduction M1 carbines a good workout! 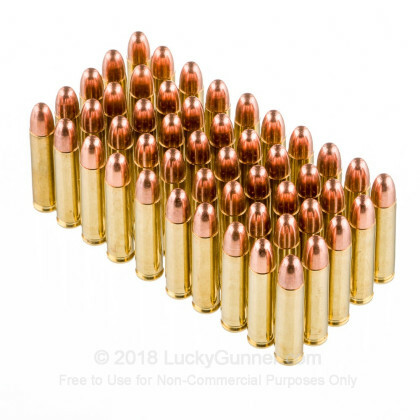 Adhering to original cartridge standards, these rounds propel 110-grain bullets that work well with classic sights and also match modern soft point ammo. Each projectile is fully jacketed with gilding metal (FMJ) and leaves behind very little lead fouling in the bore and action. 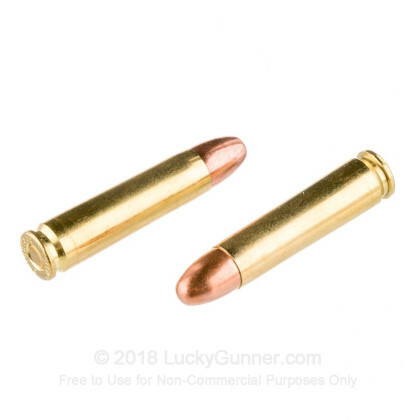 The bullets are crimped into reloadable brass casings which can be cleaned and reused by home reloaders for increased savings. Winchester ammunition uses non-corrosive Boxer primers and clean-burning powder. 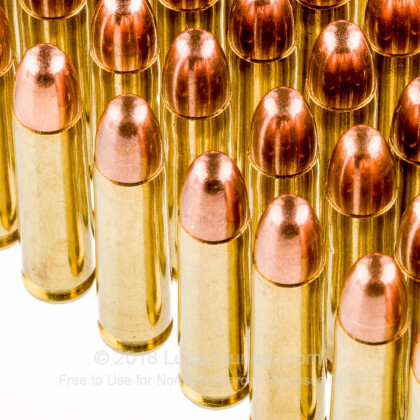 As a result, shooters can expect dependable function and consistent downrange ballistics. Winchester's ammo is made in the USA using top-tier equipment and techniques which have been refined over the last 150 years. 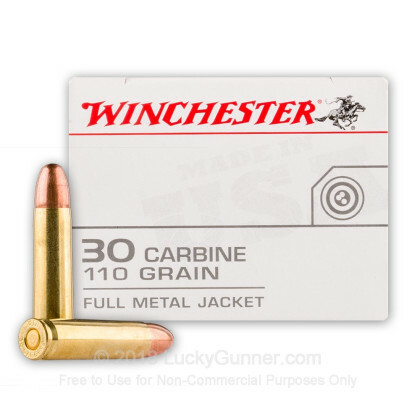 We don't have any reviews yet for this particular 30 Carbine ammo from Winchester. 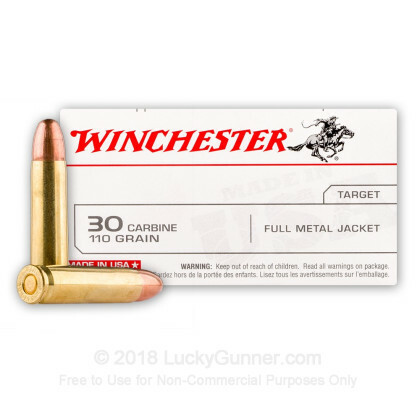 If you'd like to be the first to review this particular 30 Carbine ammo from Winchester, fill out the form below.